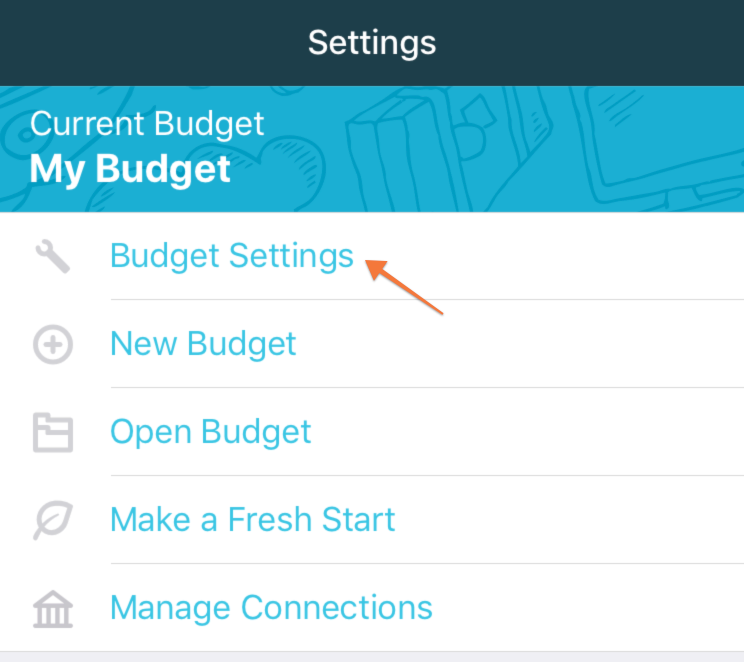 Tap the gear icon ⚙️ in your budget to access Settings and then choose Budget Settings from the list. Budget Name: tap on the current name of your budget and enter a new name. 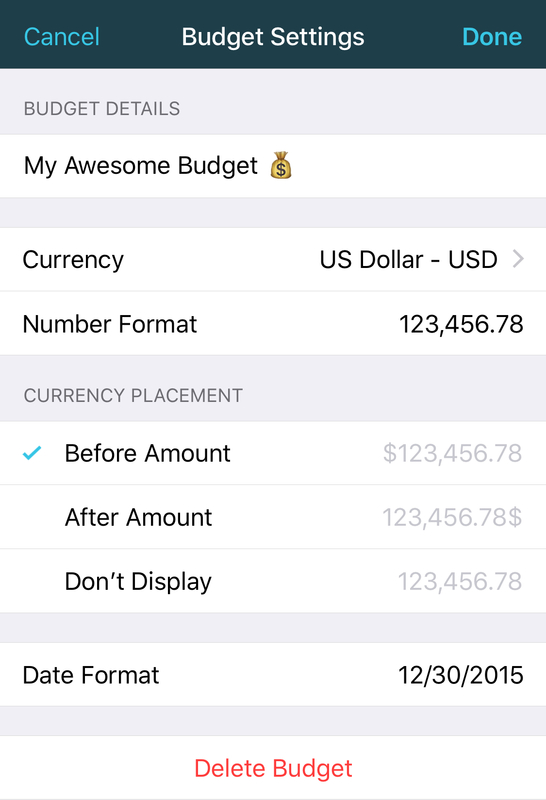 Currency: tap on the Currency option and choose your currency from the list that pops up. Number Format: tap on the current format and choose your preferred number format. Currency Placement: select the appropriate placement of the currency marker or choose "Don't Display". Date Format: tap on the current date format and choose your preferred format. You can also delete your budget from this page—but be extra careful to ensure you're deleting the correct budget!